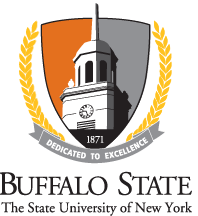 Student Clubs and organizations affiliated with Buffalo State College are an excellent way for students, faculty, staff and alumni to practice or explore a faith or spirtuality. A Greek organization offering a Christian alternative that ministers to the neeeds of the whole person, while promoting an attitude of academic excellence. Chabad anticipates and serves the needs of students on a social, educational and spiritual level. At Chabad, all students are welcome, regardless of background, affiliation, and level of observance. Cru Buffalo exists to provide each and every Buffalo College student with an environment to investigate God, explore the idea of having a personal relationship with Him through Jesus, and grow in community with one another. Even if a person is not a Christian or did not grow up in a spiritual background, Cru Buffalo provides all kinds of social events to connect with other students from campuses across Buffalo. Find them on Wednesday evenings at 7:30pm in Tech Building 160. Intervarsity Christian Fellowship is a non-denominational faith-based community that strives to grow together as disciples of Jesus Christ. Their vision is to see students at Buffalo State transformed by growing in deep relationship with God, to see the campus renewed as the love of God is spread to students, faculty, and staff, and to develop world changers who's desire will be to go and bring healing to a broken world with and through the power of Christ that he has given through his spirit. InterVarsity is both for those who already walk in faith with Christ as well as for those who seek a deeper understanding as to what this is. Muslim Student Association at Buffalo State College is an organization that welcomes Muslim students on campus. It further provides them with a sense of security and offers them a place to perform their religious duties (i.e praying). Muslim Student Association at Buffalo State College is not just for Muslims. It is an opportunity for non-Muslims to learn about Islam, interact with Muslims, and dispel the stereotypes placed on Muslims by the media. Find them each Friday offering Jum'ah (Congregational Friday prayers). The Newman Center is the Catholic Campus Ministry at Buffalo State College. They empower people to participate actively in a Catholic community that is rooted in shared Gospel values, and focused on a more peaceful, just, and compassionate society. Their members give generously of their time, talents, energy, and resources. They are a community who, by their presence and activity in Buffalo and beyond, nurture learning and development for all people at all stages of life, in the spirit of John Newman. The vision of S.P.I.R.I.T. (Students Praising in Rhythm and in Truth) Gospel Choir is to effectively minister in the full manifestation of GOD's power and under His anointing. They try to the best of their ability to develop an organized choir structure. This can only be accomplished by focusing on musicianship and discipleship. It must be understood that both are equally important and are a must for their choir. They have adopted family values such as unity, love, and prayer to strengthen each another in any possible way. In order for them to be the organization they are called to be, they have developed an understanding of what heir job is and how to do it right. They are a spiritual support to the academic side of Buffalo State College. If you believe an organization not included on this list would be a good resource for Buffalo State College students please email the Dean of Students office at deanofstudents@buffalostate.edu.